Have none sweat soles inside so feet will never smell in them. Best correction walking boots for kids with high arches. White high tops with best orto arches inside. 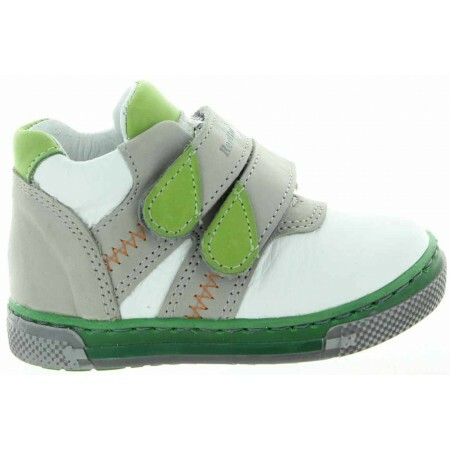 White, gray and green leather, unique lovely high tops for your baby. 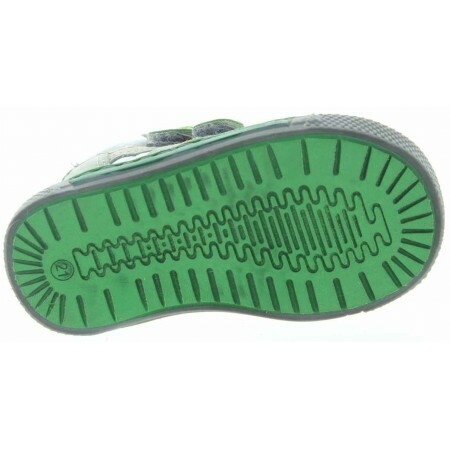 Soft green rubber sole with good traction. Will test well in cold temperature and rain. Those shoes will form kids feet correctly since that is a type of high top we put on children in Europe. They have all the features to support and correct baby's feet to healthy state. In Europe every pediatrician will suggest ortho shoes as those for kids feet. All orthopedic problems can be avoided easily with good shoes worn as a child.